"Everything I have to say about race and religion and politics is in the novels," declares Barry Gifford. 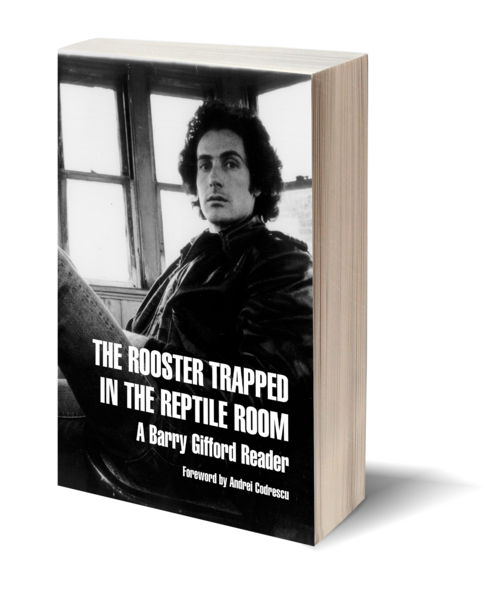 The Rooster Trapped in the Reptile Room gathers generous portions of all of Gifford's thirteen novels and novellas. Nine, including Wild at Heart and Night People, are restored to original sequence. The broad contours of an episodic output emerge—a full-length view of the freaks and freakish incidents that populate Gifford's unique, human comedy. As Lula, the author's favorite of all his characters, reflects, "The whole world's wild at heart and weird on top." This world is Gifford's native habitat as much as it is his creation. The Rooster Trapped in the Reptile Room includes first-person essays that mirror the circumstances of his novels. There was the time he took his young son to visit his friend William Burroughs. Or the trip he took along the chain of Mexico-US bordertowns, exploring life on the seam. In selections from The Phantom Father, a memoir, Gifford describes his nomadic boyhood as the son of a racketeer father and fashion-model mother. A new short story, "The Peterson Fire," is a tale from the life of a boy who sounds a lot like the young Gifford himself. Gifford began as a poet, publishing for over a decade before writing his first novel in 1979. The Rooster Trapped in the Reptile Room groups seven new poems with a selection from past work. 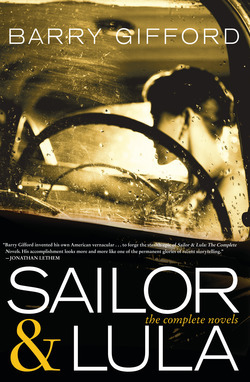 It wasn't until the 1990s that Gifford started writing for films, a pursuit represented here with a section the screenplay to David Lynch's Lost Highway. In "Fuzzy Sandwiches or There Is No Speed Limit on the Lost Highway: Reflections on David Lynch," Gifford tells the story of his several collaborations with Lynch.